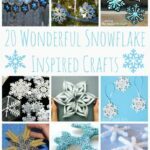 We have been meaning to share these 3D Paper Snowflakes with you for years and FINALLY I have gotten around to making them for you. 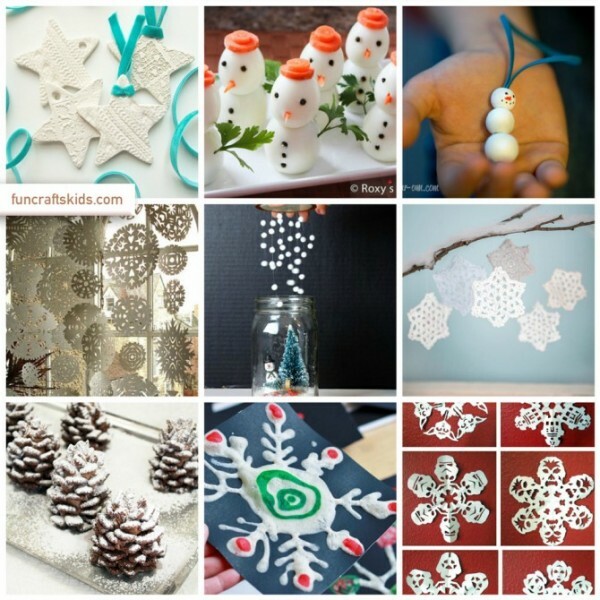 They are traditional Paper Snowflakes from Scandinavia! 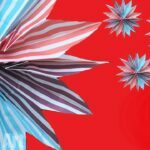 Sometimes these 3D paper snowflakes are also referred to as Paper Stars and they do look WONDERFUL in colour too (See below!!). 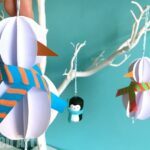 Either way, these make a beautiful Christmas Decoration and an inexpensive Christmas Paper Craft, as well as a wonderful more general “Winter Decoration”! 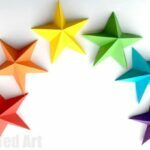 (You may also LOVE these Paper Bag Stars, which are ridiculously easy and QUICK to make). I do think it is important to “decorate for Winter”, as after the Christmas festivities and Christmas sparkle, the remainder of Winter, can be a little dull and depressing!!! 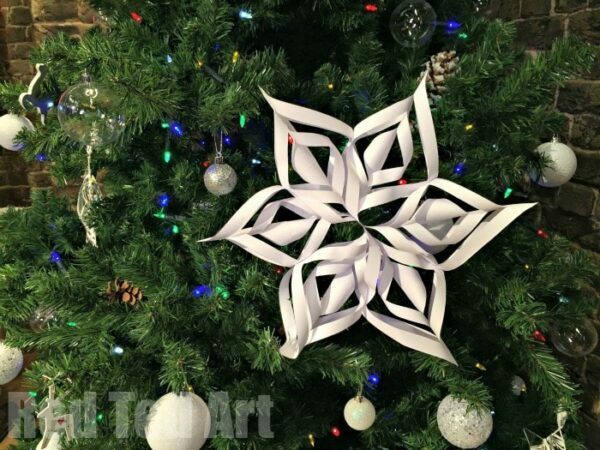 So make some of these beautiful 3D Paper Snowflakes and make your house or bedroom look all Wintery Festive. You will see that they are much easier to make than they look and once you get the hang of it, you can “do away” with the need for measuring out the pencil lines and simply cut free had and experiment! 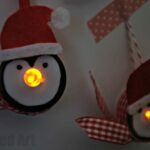 If you like my videos, please do SUBSCRIBE – for regular fun, easy and free crafty videos! And check out the colourful post it version from my friend’s YouTube channel (another GREAT channel to subscribe to btw!). 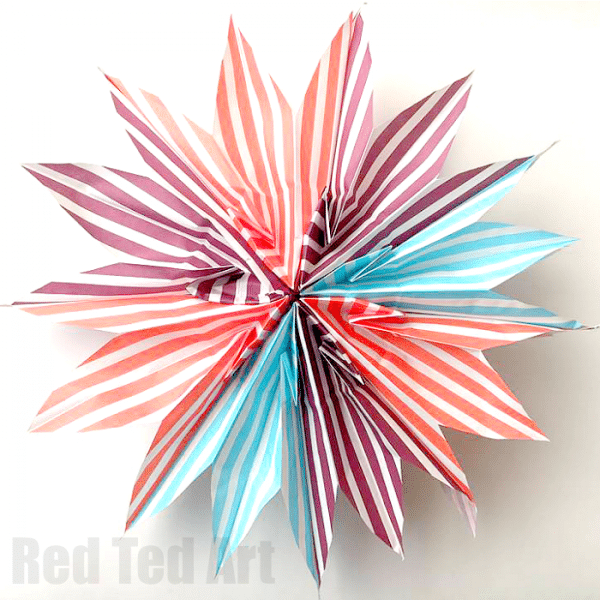 I hope you are inspired to have a go at these 3D Paper Snowflakes and that you enjoy making them as much as I do!!!! 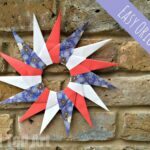 Don’t forget to take a look at these Paper Bag Stars, which are also SUPER easy to make – make them in white and they are the perfect Paper Bag Snowflake too! 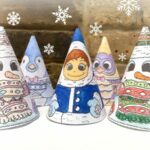 Looking for more Snow Themed Craft and Ideas? Take a peak at these! These are beautiful! 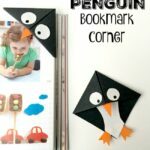 I’ve always wanted to know how to make them. I’m sharing this on MommyCrusader.com’s facebook page, and I have pinned it!